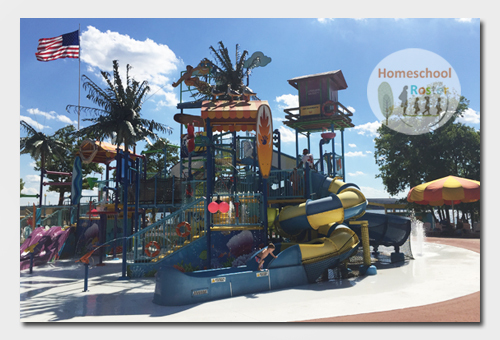 Homeschool Week returns to Nashville Shores and there is a lot of water fun to be had. The best part of the day is the fact you get the same amount of fun at an almost 50 percent discount. Tickets are $18.99 and may be purchased online. Enter promo code HOMESCHOOL18 in the promo box at the top of the homepage. The fun began Monday, July 23, and continues through Sunday, August 5. Save the dates and make plans to grab the children and enjoy the water with them. Wednesday, August 1, through Thursday, August 2, are 10 a.m. to 7 p.m.
Friday, August 3, and Saturday, August 4, are 10 a.m. to 8 p.m.
Sunday, August 5 from 10 a.m. to 6 p.m. Call (615) 889-7050 x211 or e-mail for more information. ©2018 Homeschool Roster. Article by Jennifer Smeltser. All rights reserved. All text, photographs, artwork and other content may not be reproduced or transmitted in any form without the written consent of the publisher http://www.homeschoolroster.com/.